Rick is a lifelong resident of the Katahdin region of Maine. The Katahdin region is located on the northern end of Penobscot County, the southern end of Piscataquis County and the southwest portion of Aroostook County. He and his wife live on the edge of Maine’s vast North Maine Woods area in Millinocket, Maine. Millinocket is home to Baxter State Park and Mount Katahdin. This area of Maine is a destination for outdoor enthusiasts of all types. The lakes, ponds, rivers and streams are filled with trout, salmon and bass. The woods are teaming with moose, bear, deer and upland game. 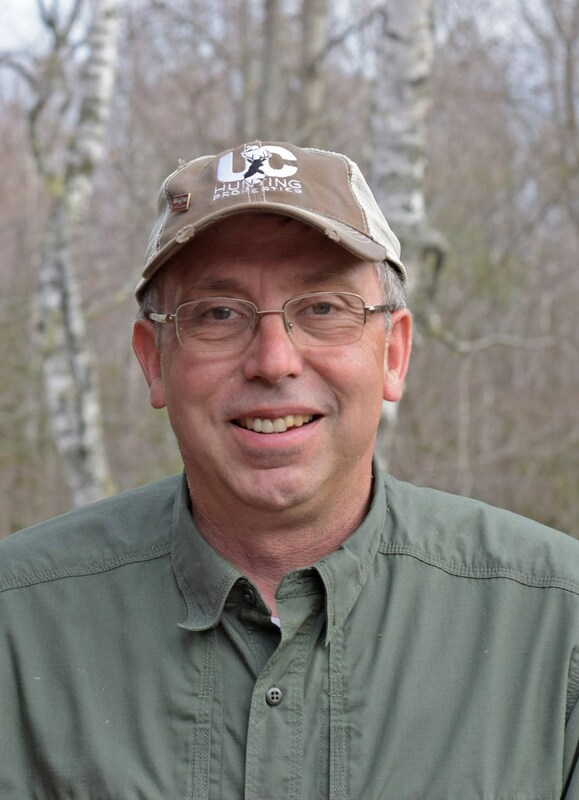 Rick’s years of experience as a registered Maine Master Guide are a resource for the recreational real estate, timberland, hunting property and waterfront purchaser to learn more about what is available for them to enjoy. His waterfront home in Millinocket situated on the edge of Quakish Lake is a work in progress of sustainable living. Rick and his wife grow vegetables, apples, peaches and more on their northern Maine hunting property. Their flock of laying hens provides eggs, fertilizer and entertainment. Their colonies of bees provide honey and pollination for their small orchard. Rick’s home is powered by both wind power and solar energy. A 10 kw Bergey turbine and 3000 watts of solar panels provide electricity. His home is heated by wood harvested from his woodlot. If you are thinking about an off grid location for your recreational land purchase, Rick can help. Rick’s interest in sustainable living, alternative energy, hunting, fishing and other outdoor recreational pursuits makes him the ideal resource for finding your piece of central Maine. Rick can help you buy or sell timberland, hunting, waterfront, recreational and other properties in central Maine’s rural communities or backwoods locations. Rick’s engineering background lends itself well to finding and promoting your property’s hidden potential. Rick is a member of the National Association of Realtors and an accredited Resort and Second Home Specialist. Rick Theriault is your Maine Real Estate Guide. We would like to give Rick Theriault a glowing reference! We have purchased two homes in Maine with Rick's assistance and highly recommend Rick for his professionalism, knowledge, and enthusiasm. His easy going personality makes the real estate transaction fun and seamless. Thanks Rick! Rick knows Maine...and outdoor sporting/recreation. You will never go wrong with Rick! Rick was very helpful when we purchased our new home in Maine and went above and beyond to help us with all aspects to ensure we were satisfied with all the questions we asked about the property. If he didn't know the answer he would very quickly find out. My wife and I would highly recommend him. At first, I thought the commission rate was high. However, with all the hard work and time that Rick and his brokerage company put into my property listing, we got exactly what we paid for. Rick told us that he would sell our ranch at a fair market value, and that is exactly what he did. Rick and his broker came out to our property in the Winter and did a photo shoot. They returned in the Spring and did an updated photo shoot. Then they returned again to do a 3D virtual tour. They came back yet again with a drone pilot and did an entire video of the property, including the land and buildings on it. Rick and his company actively marketed our property, while the previous real estate company just sat by the phone waiting for it to ring. My hat is off to Rick and company...outstanding job! Rick is dedicated and determined; always available. He excels in working with, and selling, properties that have a unique niche. A very positive experience! Five stars for Rick Theriault. From the first contact to the conclusion of the closing Rick was patient and courteous. He gently educated me about the market for my property and kept me informed of developments at all times. It was a pleasure working with him. And oh yeah, by the way -- he got my property sold, and far sooner than I was expecting.